Anything Additions is a mod with no set theme, its goal is to expand most aspects of Minecraft. Anything Additions is currently on version 1.0.0 and has 115 mos elements. Ghost variants of blocks, crafted by placing a ghost soul (not currently obtainable in survival mode) in a crafting table with the block. Light and dark stone variants. 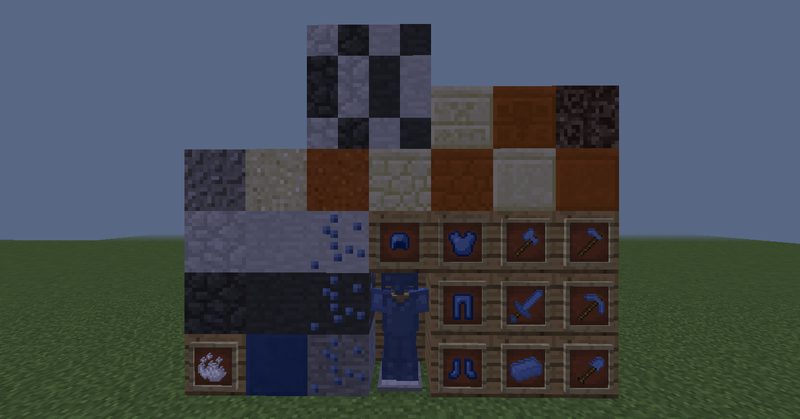 Mythril used for armor, tools and an ore block.